Once again, family friend Anne gave me a fantastic gardening Christmas present last month. It’s about the size and shape of a standard bird box, but instead of being sealed with one hole at the front, it is open with dozens of holes at the front – as it’s filled with bamboo. The RSPB have a nice guide on making one. My new bee hotel is up and ready for guests. Breakfasts are not included, but can be found nearby. The idea is that bees (like solitary bees) will come along and seek shelter, and they’ll be able to check-in at my bee hotel whilst they wait for safety, and can then resume their visit to my garden. 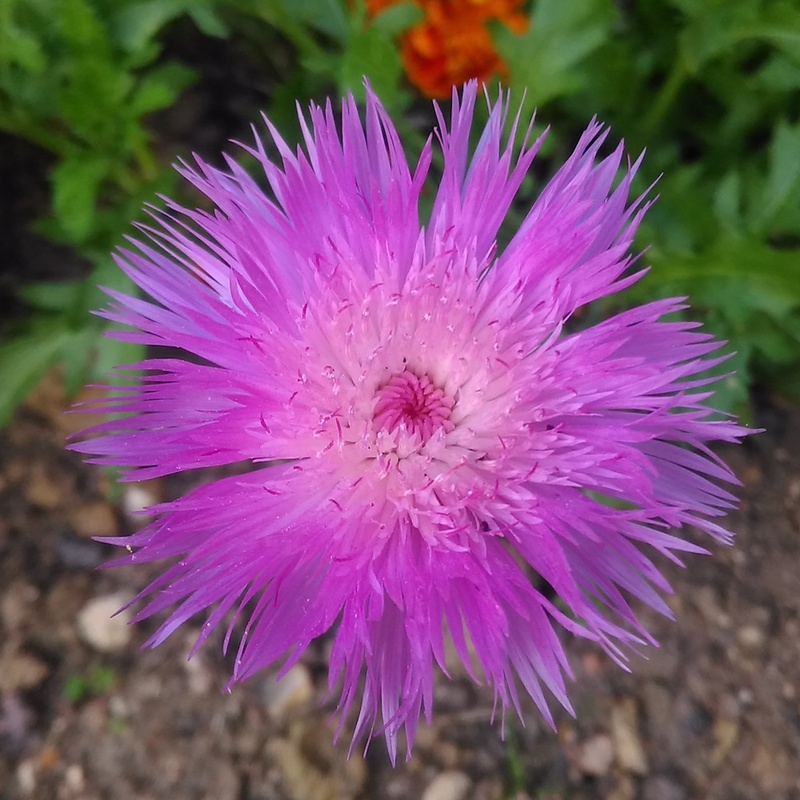 I’ve never had one of these before, but I’ve often seen them around in garden centres, so I will be interested to see how this fares in my garden. It was a bit tough to get it onto my shed – not through any fault in the bee hotel’s design, more of a lack of opportunity on my shed’s part, so for now it’s on an end. Hopefully it won’t blow off in the inevitable March/April gales. Last year she gave me a pair of shears and loads of packets of seeds, the latter of which made my garden pretty with some new sowings – particularly the Sweet Sultan ‘Mixed’ and Monarda ‘Austromontana Bee’s Favourite’ flowers. The shears will certainly come in handy when my persuasion hedge wakes up and has grown a bit more, but I guess I can practice on the inevitable Blackberry growth at the bottom of my garden. For now though, it’s far too cold for the bees, but in a few weeks they may begin to emerge. 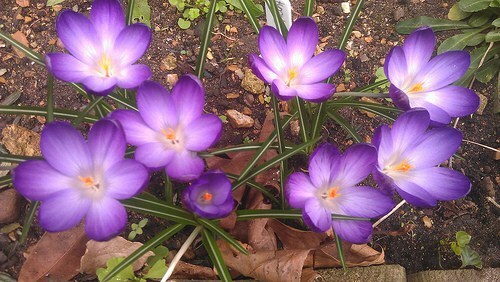 In the last couple of years I’ve always tried to meet them with Crocuses, so that they get that essential early food, and I’m pleased to say that my first planting of crocuses in my new garden are up… I just hope the rest are on their way too. I managed to lift some of the Crocus ‘Giant Ruby’ bulbs from my old house before I left, and I hope to see them again real soon. Crocus ‘Giant Ruby’ on flower. I also intentionally and coincidentally brought some of the Foxglove ‘Excelsior Hybrid Mixed’ X-generation plants with me too, and I’ve planted these into suitable areas. Hopefully their colourful spires will soon begin to shoot up too. I’m now in the depths of garden planning, and raring to go, whilst bingeing on allotment videos. My Friday night was spent mostly watching a chain of YouTubers explaining how they sow and harvest turnips! Anyway, wrap up warm, and get those seed catalogues out – I’ve already heavily thumbed the Suttons Seeds Catalogue. It won’t be long until we need to start sowing again.